It bothers me that everyone wants an HD remake of Super Mario Galaxy 1 and 2. We just had those, what’s the rush? You slide those games into either your Wii or Wii U and they still look great! They don’t even run in native 1080p but they look like they do! 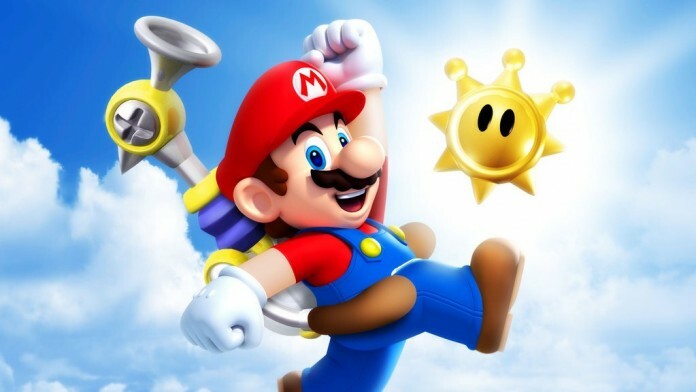 If there must be an HD remake of any Mario game, may I allow myself to lay down money on it being Super Mario Sunshine? Let me explain, I have a theory that every other Nintendo console is really the fruit of the labor of the previous console. NES had a few greats, but a lot of them were so bad that no one would dare pick them up today. Then the SNES came out, and took everything from the NES and made it better. Because of that, the SNES became arguably the best console ever. After SNES, the N64 came about, and just about every game was a technology test, making a lot of games rough around the edges. Think back to the N64 and think about how much of them really hold up well. Not much, right? The only ones I can think of are Banjo-Kazooie, Conker’s Bad Fur Day, and Pokemon Snap. Every other game that was good at the time was remade into a better version on a different console. Honestly the N64 controller is one of the worst controllers known to man, so being updated to any current console with a modern controller already makes the games better. Starfox 64, Ocarina of Time, Mario 64, and Majora’s Mask, all of these have superior remakes on a different console. Even Conker got remade, and while I never played the updated version, it’s a safe assumption that the controls were better. So, after the awkward era that was the N64, came the Gamecube. This is when Nintendo really knew how to properly make fantastic 3D games, but everyone seemed to hate them at the time. That’s because Nintendo dared to try something new with their franchises. Zelda got a visual overhaul that made it look like a cartoon. Star Fox became an adventure game with dinosaurs. Metroid became a third person shooter. Kirby became a racing game. And Mario? He got a water powered jet pack. These drastic changes really put off a lot of people, even though all of them are arguably great games. Even Star Fox Adventures I think people would love if it didn’t have “Star Fox” in the title. So, what does this all have to do with an HD remake of Sunshine? Just about everything. I am fully willing to admit that Sunshine was one of my first 3D games, so I inherently have nostalgia goggles on it. However, even with those goggles, I still have fun every time I play it. Every year, I pop in Sunshine at one point or another because it’s a fun game. Recently I even played through the entirety of the game and it still holds up. It’s a beautiful game with challenging, precise, platforming. It holds up surprisingly well, way better than Mario 64 and on par with both Galaxy games. However, the reason why Sunshine deserves a remake over the other games is because not many people got the chance to play it. With those minor tweaks and a release on either 3DS, Wii U, or even the upcoming NX, this game would almost be a guaranteed hit.